#1,109 Movie Day. – Laurel Mercantile Co.
Now reading: #1,109 Movie Day. We’ve been together 8 years and never have we ever gone to 2 movies at the theatre in one day. Since we were both off from work and the weather turned bitter cold overnight, it was as good a time as any to see movies we’ve been excited about. Les Miserables was long and very tedious, but Anne Hathaway’s emotional take on the famous I Dreamed A Dream made it worth it. 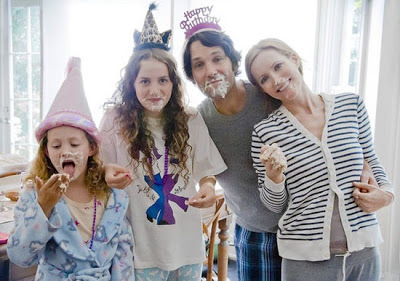 Afterward we needed funny, so we saw This Is 40, which was actually way heavier and more dysfunctional than we were prepared for, but it had a good ending that revolves around the fact that all families go through rough patches, but loving each other can bind you together and pull you through. There were too many spoiled kids with expensive Apple devices, to the point that I think it must’ve been sponsored by Apple. Made me really hate technology, yet here I sit writing a blog on the interwebs for the free world to read. If you liked Knocked Up, it’s similarly funny but missing some of the goofy heart that we loved. And Ben and Allison are never mentioned at any point in this movie! What the heck? If you’ve never spent a day doing a double feature, you ought to try it. It’s a nice way to spend a cold winter day.